Most of the students are having difficulties in solving the Calendar problems. Already many logics are there to solve these kinds of problems, but all these logics are difficult to understand. So here is the simple way to solve calendar problems. Also Read: How to solve Logical reasoning part in Elitmus? In order to solve these type of problems you must know some codes. 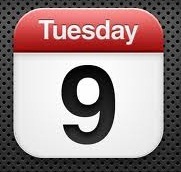 Step 1: Add the day digit to last two digit of the year. 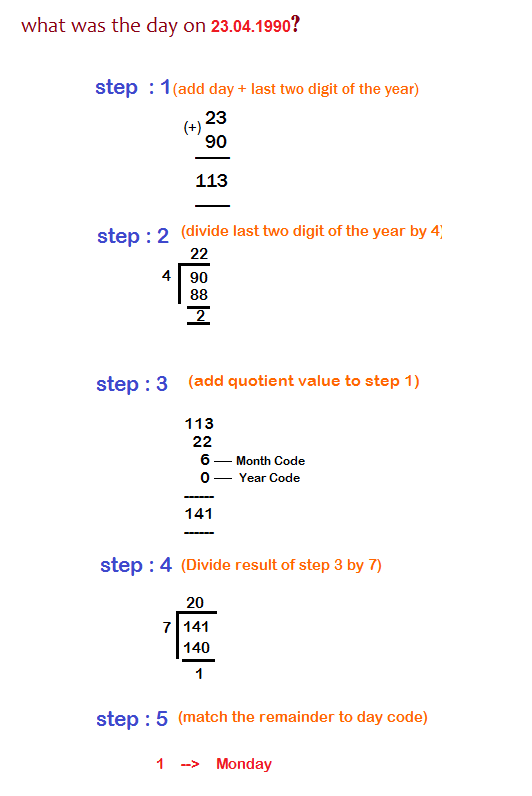 Step 2: Divide the last two digits of the year by four. Step 3: Add the Quotient value in step 3 to result obtain in step 1. Step 4: Add Month Code and year codes to the result obtain in step3. Step 5: Divide the result of step4 by seven. Step 6: Obtain the remainder and match with the day code.